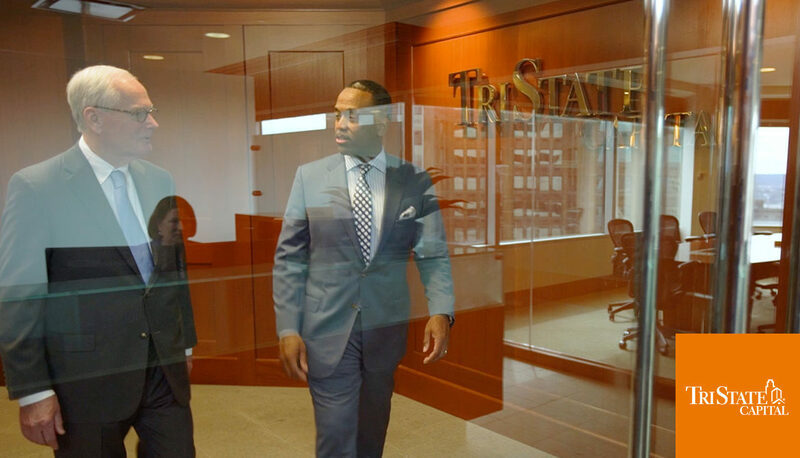 Founded in 2007, TriState Capital Bank began with an idea and an opportunity. Its founders decided to focus on a niche and build a bank that combines the capabilities of a large financial institution with the personalized service of a community bank, focusing on middle-market businesses, executives, and high-net-worth individuals. Since the very beginning, BD&E has proudly partnered with TriState to shape the institution’s brand strategy. Through our longstanding relationship with TriState Capital, we’ve had the opportunity to develop graphic standards, stationery materials, tradeshow graphics, a wide variety of critical internal and client-facing communications, special event materials, and marketing collateral. With great accomplishments come great celebrations! TriState Capital celebrated its 10-year anniversary through a series of regional events. BD&E was happy to assist in the celebrations by designing the commemorative logo, which was applied to event invitations, name cards, and employee gifts. We also produced a video to be showcased at the events. The video recounted several of the bank’s milestones through interviews with top executives. These interviews told the story of how TriState came to be, as well as its aspirations for the future. Chartwell Investment Partners was acquired by TriState Capital Bank in 2014. The acquisition was instrumental in limiting the bank’s risk profile while at the same time expanding its product offerings. Not only was this an opportunity for the bank but also one for BD&E. We were asked to develop a quarterly sales prospectus for the Berwyn Income Fund, a Chartwell product.